A deformed and deranged victim of the dreaded Corprus Disease. The disease greatly increases the victim's strength and abilities which makes them dangerous opponents, in addition to the fact that you can catch the incurable disease from them. They are able to regenerate themselves. Lamias are a species of amphibious beastfolk. They have a serpentine appearance, with the torso of a woman and the tail of a snake. Despite being exclusively female, lamias lay eggs, which they are incredibly protective of. 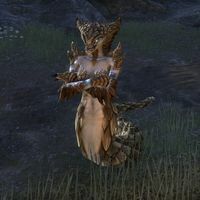 Found all over Tamriel, they can live in water or on land, although they rarely venture far from the water, and are known to take up residence in abandoned ruins. Lamias are larger than most other mortal races, but can interbreed with them according to fables. Lamias eat their prey whole, resulting in a distended stomach while they slowly digest. They appear to be cold-blooded and are known to lounge in the sun. Despite being reviled as monsters, lamias are an intelligent species; they can speak Tamrielic, can cast powerful magic, and adorn themselves with jewelry. In combat, they rely on debilitating shrieks and powerful claws that drain an opponent's stamina. Curares can also summon spectral lamias. They seemingly have their own religion, venerating entities known as the Egg Mother and the Great Egg. Lamias choose not to erect permanent structures or cities of their own, instead preferring to occupy the ruins left behind by man and mer. They can also be encountered living underwater. Groups of lamias are often led by a queen. Lamias have had little impact on history due to their primitive nature and hostile attitude towards the people of Tamriel. 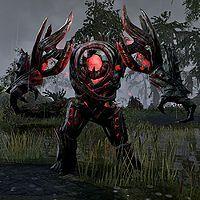 Notably, the lamias of Tempest Island took part in the Lamia Invasion of 2E 435, and a group of lamias are thought to have fought against Molag Bal in 2E 582 during the Tamrielic invasion of Coldharbour. Medusas are physically similar to lamias, but otherwise unrelated. Land Coral is a bizarre, bioluminescent, and possibly sentient coral species that grows on land. 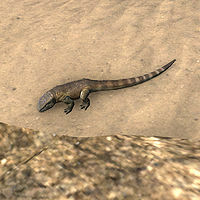 They can very rarely be found on land along the Inner Sea on both inner Morrowind and Vvardenfell. 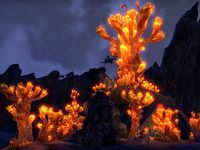 They come shaped as Antler Coral of a variety of sizes, with the potential to grow large enough to tower above the landscape. They give off a natural firelike bioluminescent glow. 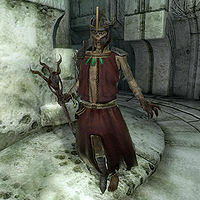 In general, "Lesser Daedra" refers to any Daedric creature below a Daedric Prince in power. The term is occasionally used specifically in reference to daedroths. A Daedra resembling a scantily clad woman. 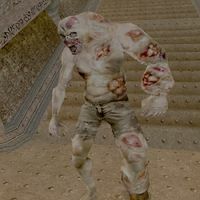 Liches are undead necromancers which have embraced the power of Lichdom, placing their soul in an object called a 'Phylactery', which is usually a jar or a chest. They are selfish and power-hungry, destroying all in their searches for souls to repair the Phylactery. Extremely intelligent and powerful, they are always resurrecting if their Phylactery is not crushed. [verification needed — contradicted by Celedaen] Most are in control of at least a small undead army and a tomb, and are adept spellcasters. Nether Liches were weakened for a certain time by the destruction of one of their Phylacteries. [verification needed] Ancient Liches are old, and much more powerful. 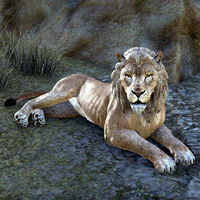 Lions are large felines found mainly in Cyrodiil, Hew's Bane, and Reaper's March. Lizards are small reptiles that can often be seen basking in the sun. Once thought to be distant cousins of the Argonians, it was soon evident that these lizardmen had nothing human within them whatsoever. They are a race of carnivorous reptiles, whose use of language stretches only far enough to communicate the location of their prey to the rest of their hunting party, which then move in to attack and feed. A type of common fish that can be found in saltwater across Tamriel. 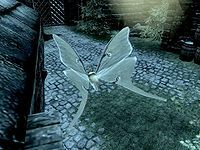 A beautiful nocturnal species of moth found in the more temperate regions of Skyrim. Its wings are prized for their use in alchemy. Lurchers are abominations usually created through dark nature magic by corrupting a spriggan. The spriggan's tortured spirit remains trapped inside the creature until it is slain. They are often used as guardians. Lurchers are not always the product of witchcraft as they can also be found in nature, roaming swamps. They are sometimes associated with the Hist, and can be calmed through Argonian rituals. 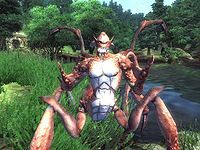 Lurkers are large daedric creatures that come from the murky waters of Hermaeus Mora's realm of Apocrypha. They appear as amphibious humanoids who serve their Prince by guarding forbidden knowledge. Lurkers use their long legs for stomping attacks, and can attack from afar by spewing tentacles from their mouths. This page was last modified on 23 December 2018, at 02:38.